This year’s edition of the Fellowship Programme for Government Officials has started with the eight-day introductory seminar that was held in Berlin and Potsdam, Germany from August 27-September 4, 2016 in cooperation with the Potsdam Centre for Policy and Management. It offered the participants a cutting-edge knowledge of the administrative and polit­ical developments and dynamics. The fellows had the chance to discuss their plans for their fellowship, received individual advice, presented their professional and personal goals and prepared themselves for the practice phase of the fellowship programme. 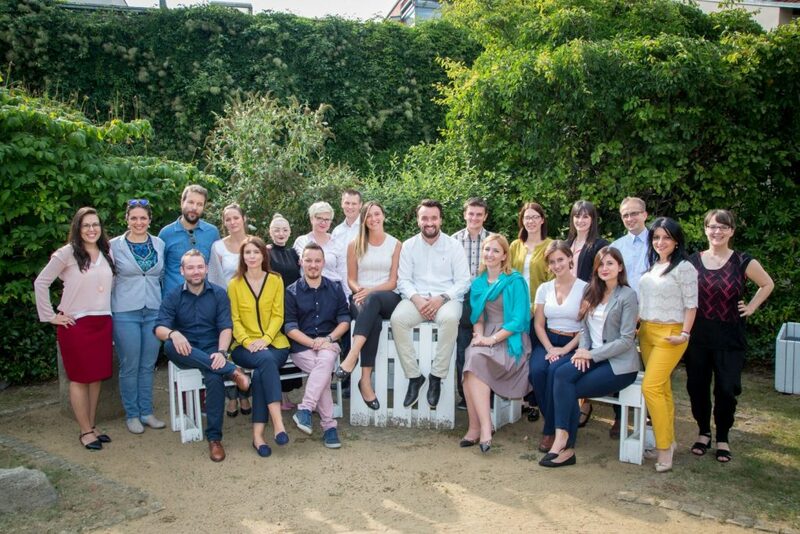 After the completion of the Fellowship Practice Phase in the Host Institutions in EU, the European Fund for the Balkans will gather the fellows in Opatija (November 19-24, 2016) for the final seminar – a final review meeting, presenting the results of their work and plans for follow-up. The Final Seminar, will offer a specifically designed combination of learning, networking and team building. It will include training sessions in communication and presentation skills, hence preparing the fellows for a knowledge transfer in their home institutions. In conducting the seminar, the European Fund for the Balkans is combing forces with the College of Europe, the world’s first university institute of post-graduate studies and training in European affairs. The objective of the training sessions of the Final Seminar is to provide the Fellows with an in-depth practical skills in two areas: EU Accession Negotiations and Change Management, aiming at preparing them to take an active role in the EU accession processes of their countries. The trainings are carefully designed to further develop leadership skills, enhance self-confidence and foster the transfer of knowledge and skills gained during the EFB Fellowship. By their active participation in interactive settings, the fellows will be prepared to face the challenges of reintegration in their home institutions and work environments and ready to step up with confidence into their change making roles. The Seminar will also to offer an innovative teambuilding activities aiming at building the strong and long-lasting network of friends and professionals in the region. In this regard, the third important component of the final seminar will be the session dedicated to the Effective Teamwork.